KaLea Lehman is a Vanderbilt University Peabody College of Education and Human Development student and mother of four. 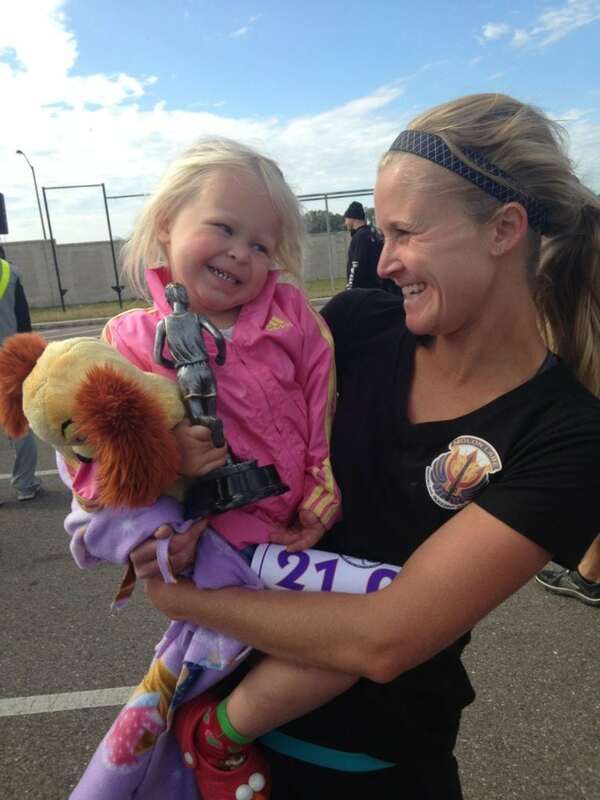 On Oct. 21, she also hopes to add Guinness World Record holder to her list of accomplishments. KaLea will attempt to break the Guinness World Record for the fastest half marathon completed while pushing a triple stroller, all while raising funds and awareness for Monroe Carell Jr. Children’s Hospital at Vanderbilt. Children’s Hospital is very near and dear to KaLea’s heart. Her 5-year-old daughter, Mia, was only 3 weeks old when she was transported to Children’s Hospital by LifeFlight for Respiratory Syncytial Virus (RSV), a common respiratory virus that causes cold-like symptoms and is dangerous for infants. Mia was barely breathing when the critical care team arrived, and she spent 10 days in the hospital. This Guinness World record attempt and fundraising campaign is KaLea’s family’s thank you to Children’s Hospital and the amazing people that rallied around them through those very scary days. You can donate to KaLea’s campaign and read about Mia’s story and their run at www.runmamarun.us.